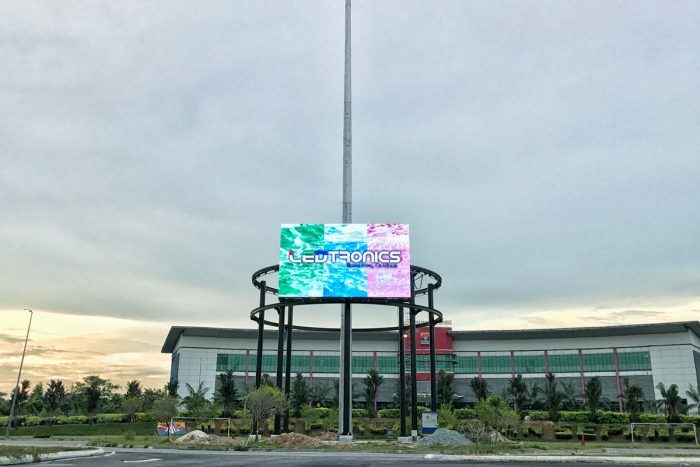 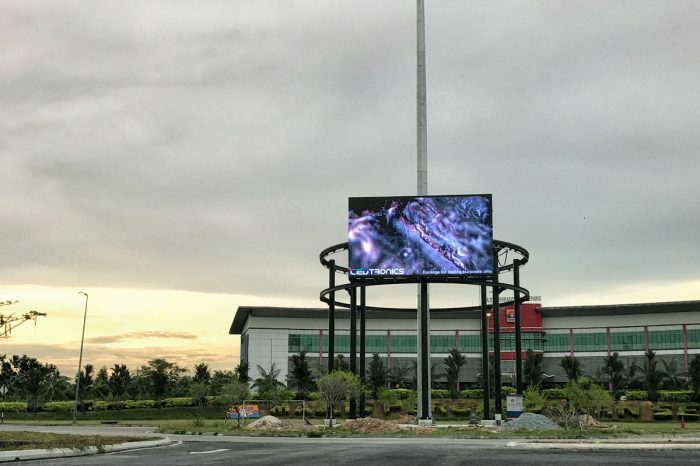 LEDtronics is proud to unveil the latest Swiveling Digital Billboard with wireless and motorized controls at a roundabout in Sepang. 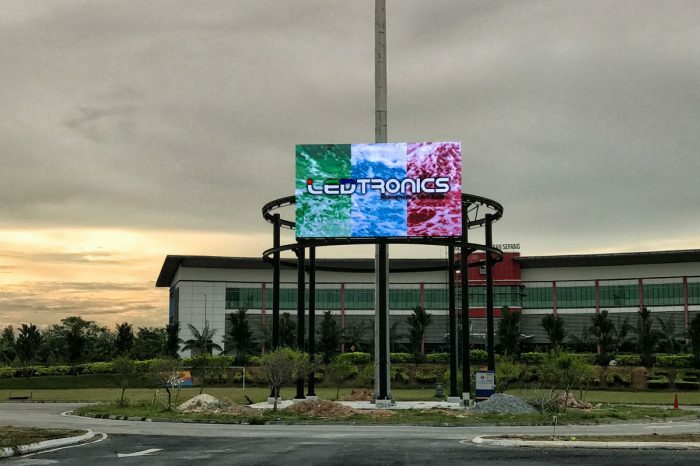 This unique concept is the first-of-its-kind in Malaysia. The whole structure’s moving mechanism was customised to meet the user’s expectation where the display can be rotated on a circular motion as and when needed at different degrees.. Bound by a strict timeline and budget, we took the challenges in stride and managed to complete the project successfully. 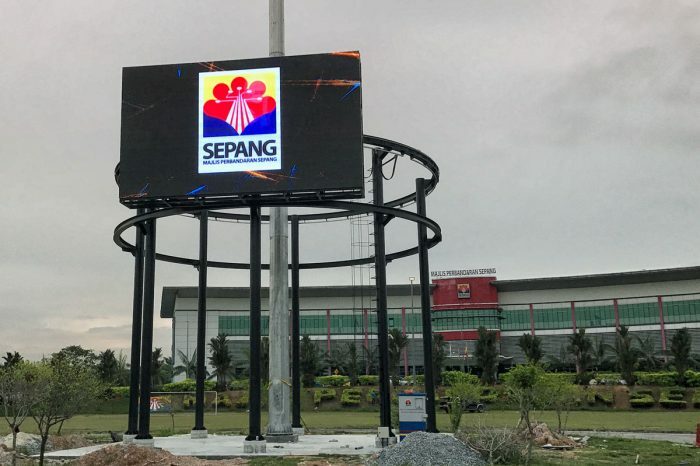 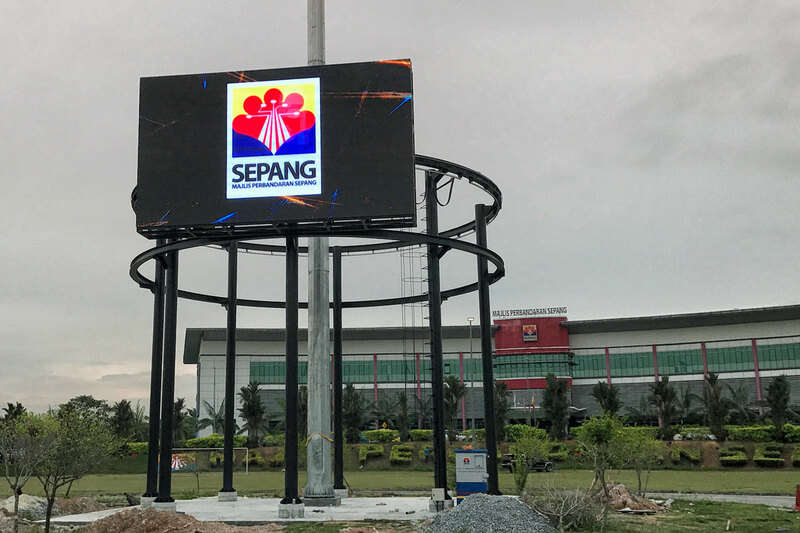 Now, the Sepang council will have an unique and iconic Digital Billboard to showcase their content, as well as use for their future activities and events.